SJSU Votes! Registers Spartans to Vote! — SJSU Votes! SJSU Votes! Registers Spartans to Vote! Miriam and Ed review the SJSU Votes! Project and discuss the importance of registering to vote. 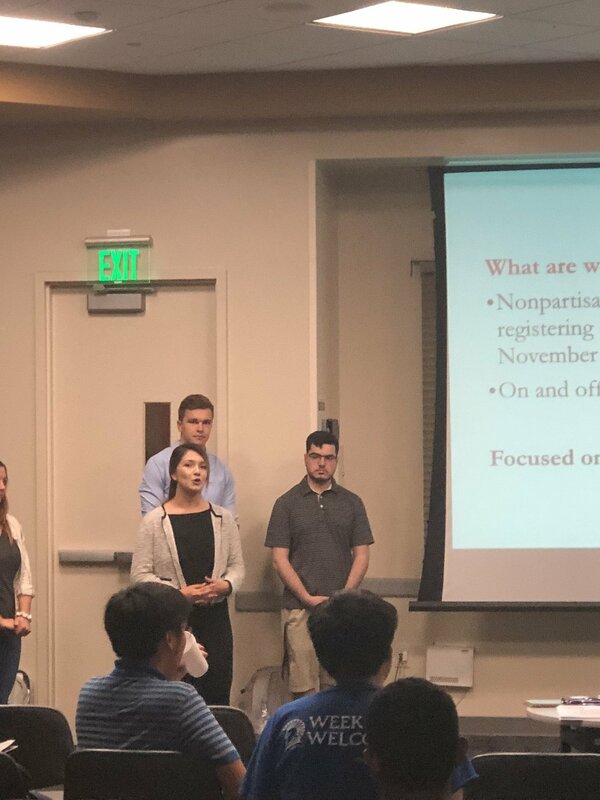 Kalie, Deysi, Ed, and Albert review some upcoming SJSU Votes! events on and off campus. Mini Block Party A Big Success! SJSU Votes! 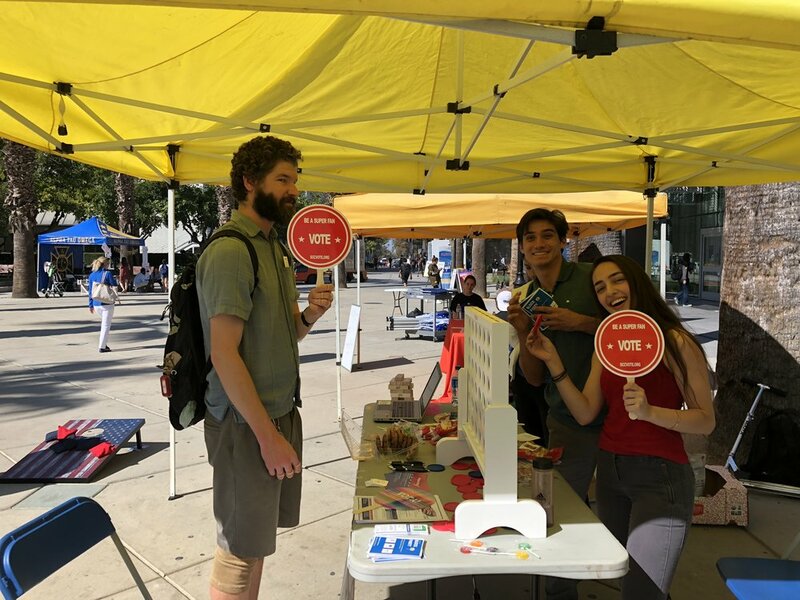 teamed up with Pi Sigma Alpha and the Center for Community Learning and Leadership on October 18th on the 7th St. Plaza to register voters, give out voter information, talk about community engagement, and present opportunities to voice concerns to elected representatives. 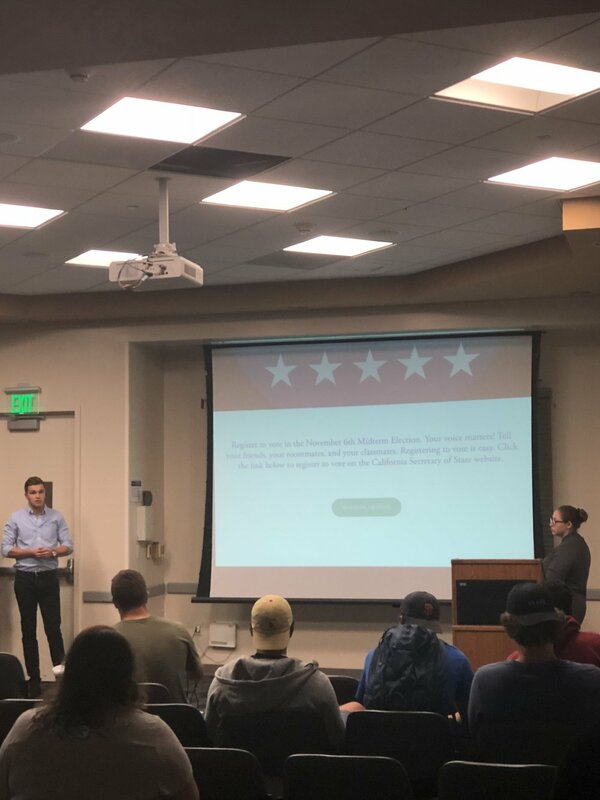 There was music, games, snacks, pens and pocket Constitutions, and other cool stuff from the Santa Clara County Registrar of Voters, and tons of information from SJSU Votes!, the League of Women Voters, and other great sources. Pi Sigma Alpha provided pre-addressed stamped postcards for students to send to elected leaders. The Center for Community Learning and Leadership provided excellent information about community engagement for students. It also provided students with churros if they visited the tables. It was good fun and great civic engagement. 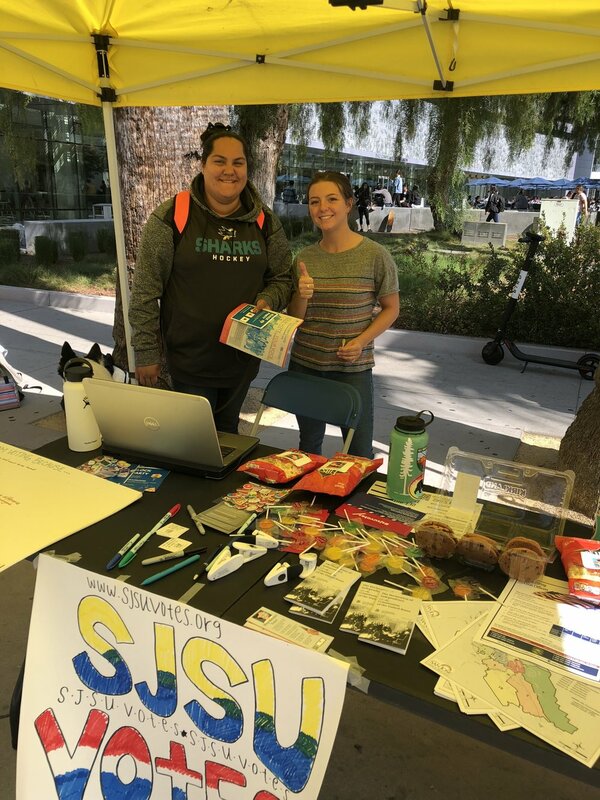 SJSU Votes! 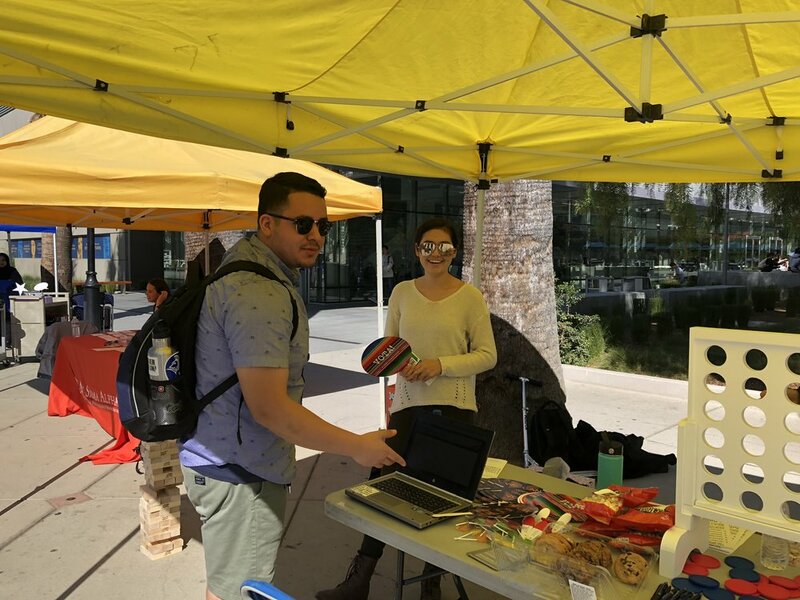 registered voters and gave out voter information at the Campus Village Plaza from 4-8pm on October 18th.